– Mural on the Shevchenko Lane, 1 – was created in 2016 in the framework of the art project “Art United Us” by the Costa Rican artist Mata Ruda. 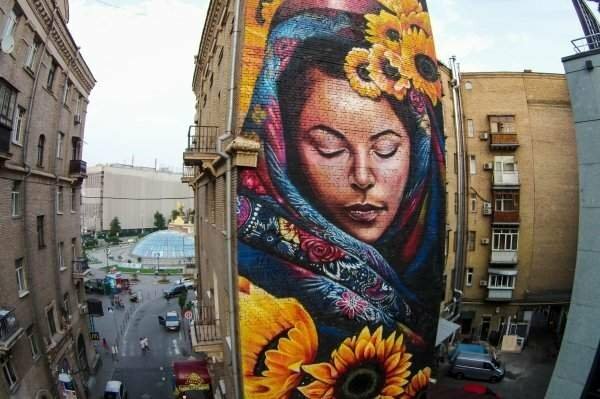 The picture called “Berehynya” depicts a woman in a headscarf adorned with sunflowers. The image of “Berehynya” presents a woman as a defender of the home. The artist was inspired by the Slav mythology and images of women who fled the war in the Caucasus. 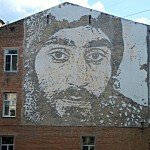 – Mural on the Mykhailivska Street, 22-b – was created in 2015 by the Portuguese artist Alexander Farto. 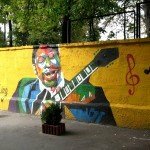 Mural is dedicated to the hero of “Heavenly Hundred”. 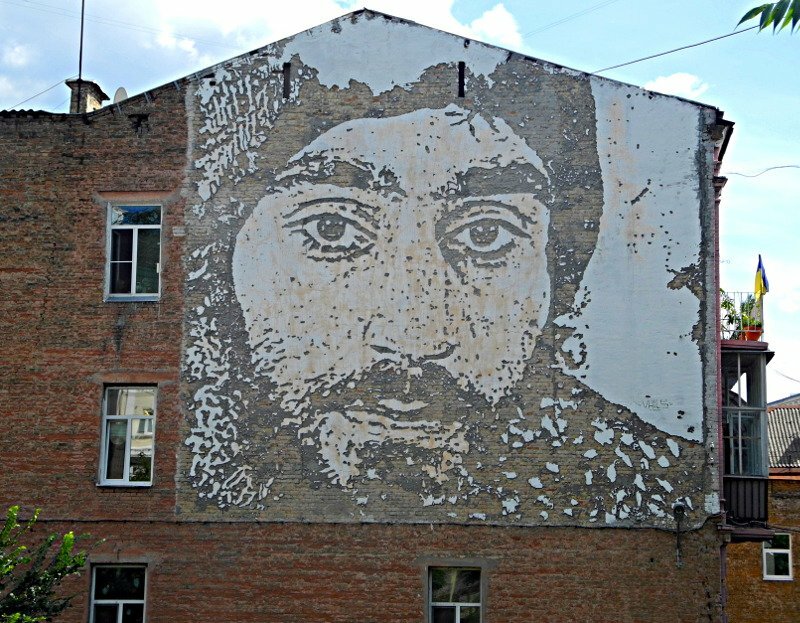 It depicts a portrait of a Ukrainian with Armenian origin Serhii Nigoyan, who died in 2014 during the Revolution of Dignity. 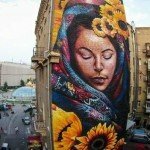 – Mural on the Desyatinny Lane, 7 – was created in 2015 by street-artist from Argentina, Frank Fasoli. Mural in the style of abstraction conveys Mexican mythology.The picture shows a man with an eagle’s head, who holds Ukrainian flag in his hands. 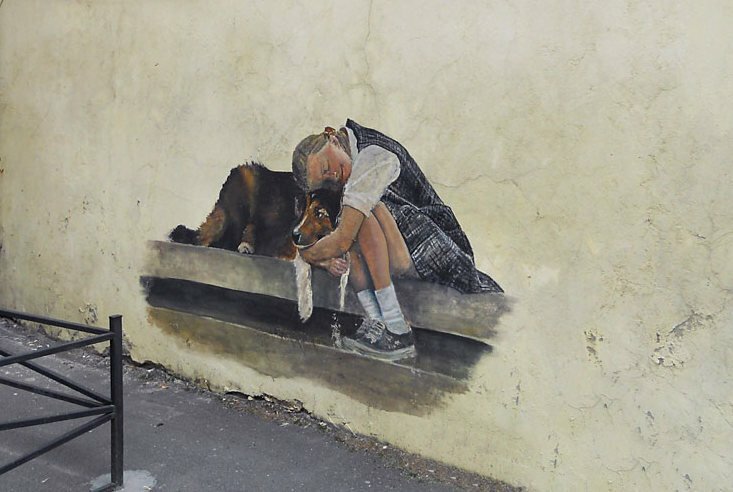 – Mural on the Mykhailivsky Lane, 7 – a small mural called “Girl with a dog” presents us a girl hugging a dog. The picture depicts the trust of children and their love for animals. 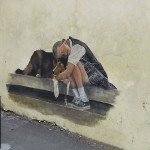 – Mural on the Mykhailivska Street, 24-a – created in 2015. 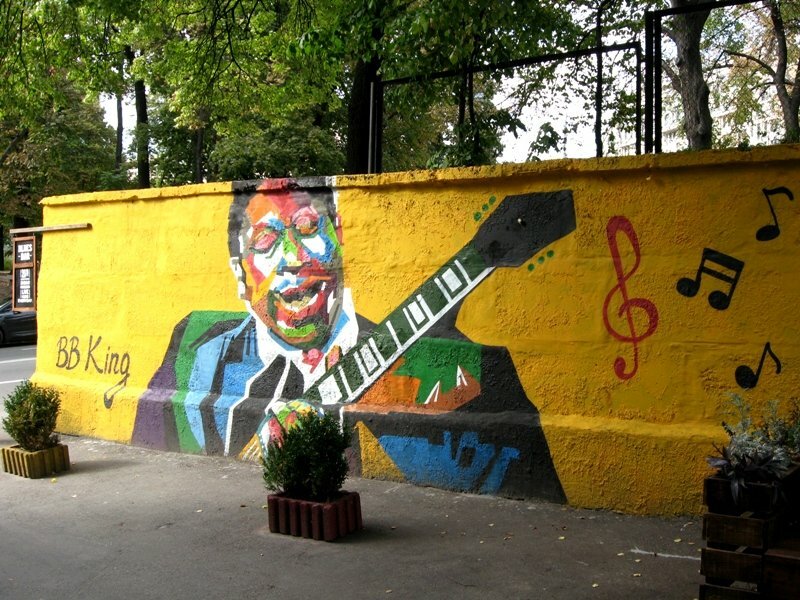 Street art with the image of the legendary bluesman Bee King is located not far from the blues bar “Reg-Time”.